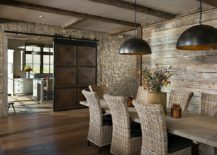 In our quest to bring textural beauty and contrast into modern homes, we are starting to embrace rustic and farmhouse elements that were previously considered ‘unfit’ for polished interiors. 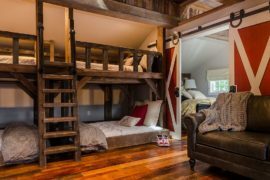 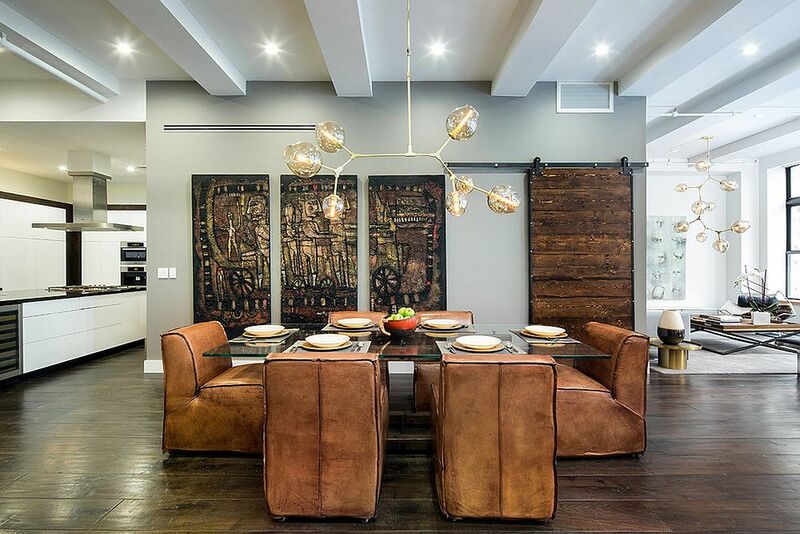 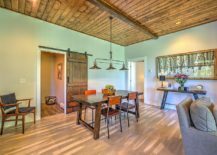 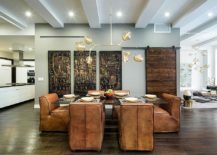 The last few years have seen an increase in elements such as the exposed brick wall and the feature wall clad in reclaimed wood, and the classic barn door is no different. 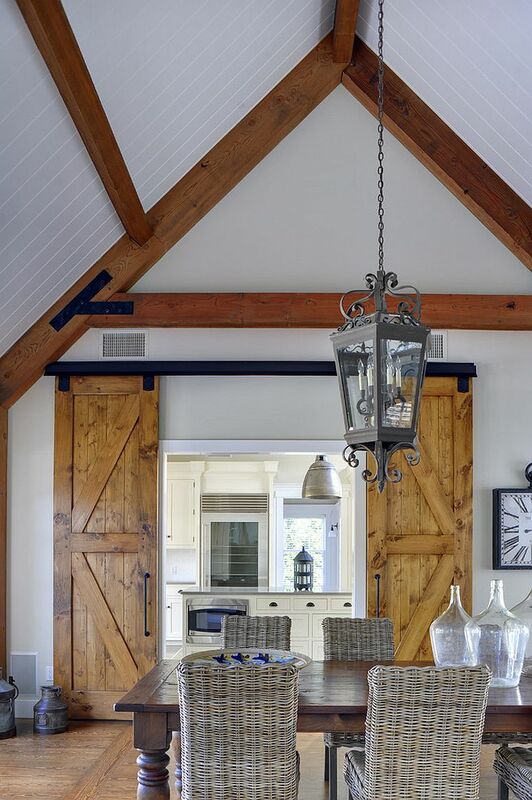 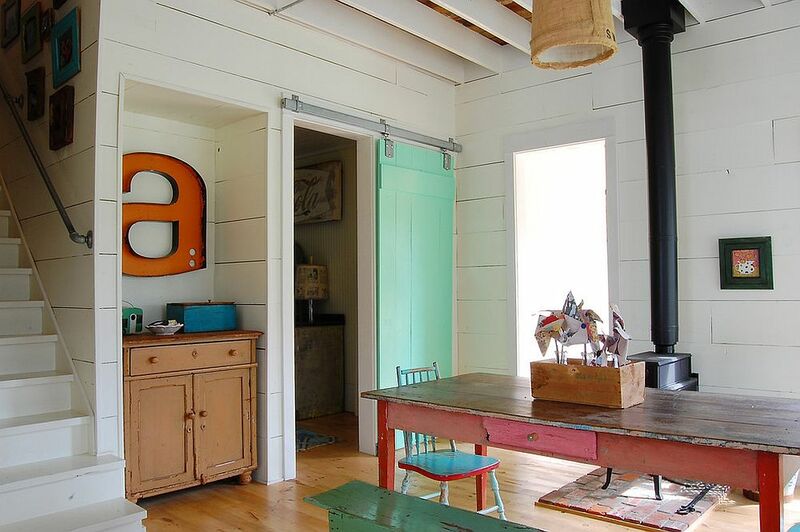 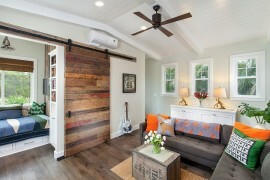 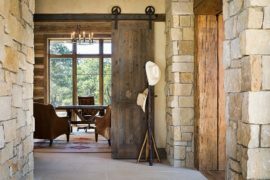 Sliding barn doors come in a wide variety of shapes, sizes and finishes and often usher in a hint of nostalgia along with uniqueness and freshness. 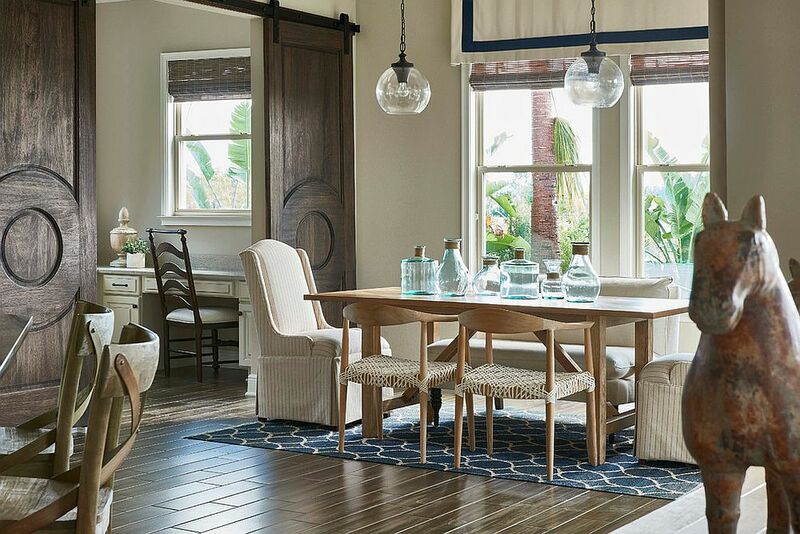 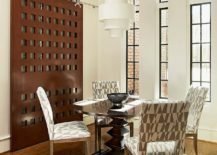 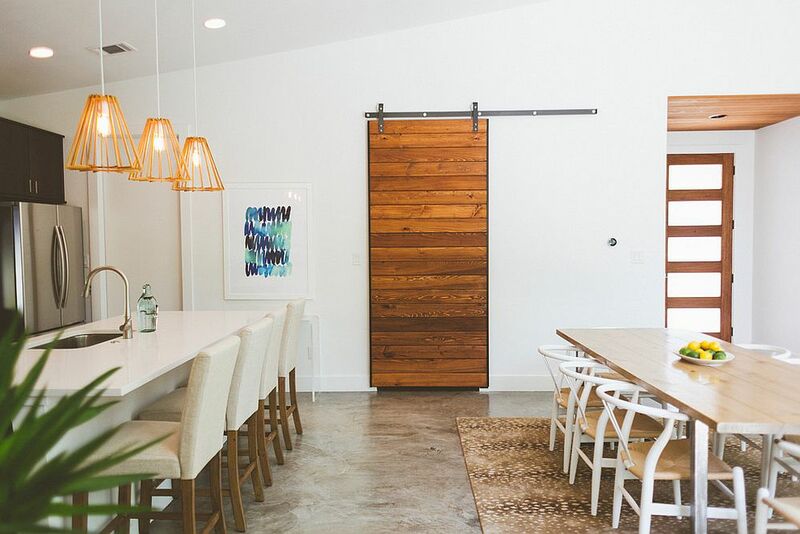 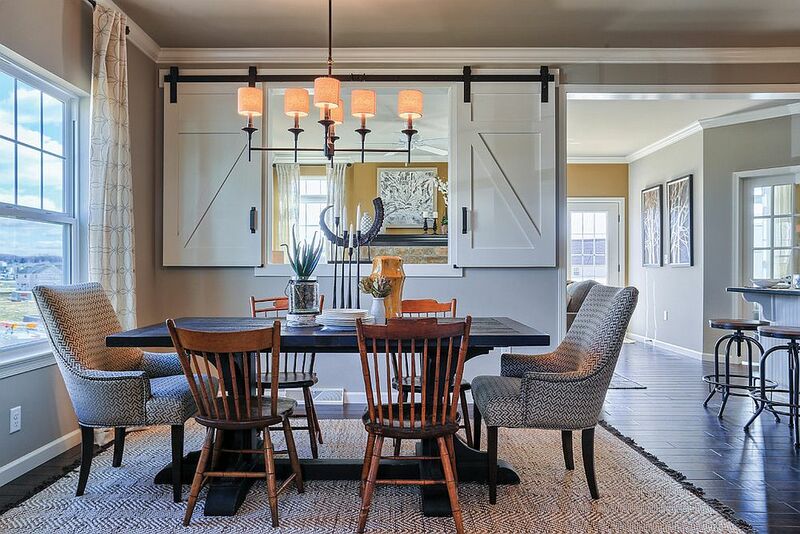 Moving away from the mundane and revitalizing the space they adorn, today we take a look at dining rooms that embrace the beauty of the sliding barn door. 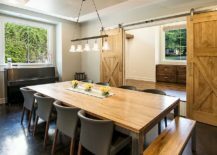 A large sliding barn-style door often ends up being the visual focal point of the room, and the more modern your dining room is, the greater the impact of this cool addition. 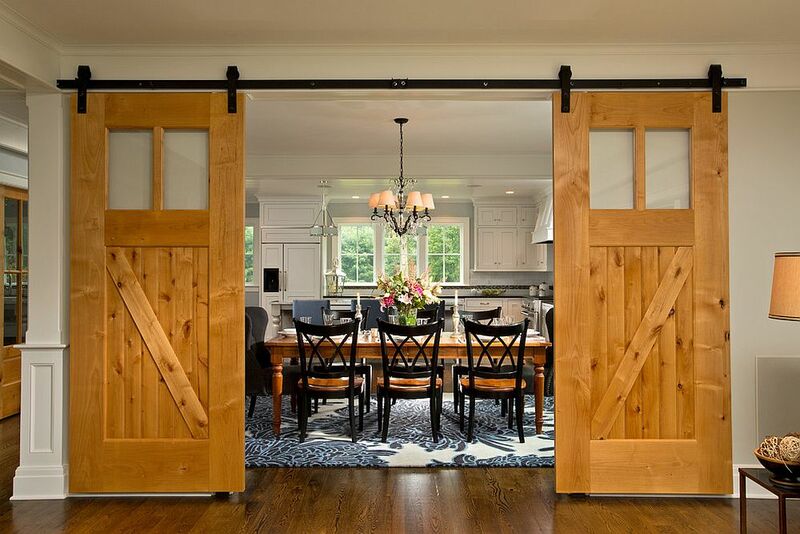 Fitting in with a wide variety of styles, you can even use more modern sliding barn-style doors that draw inspiration from their traditional counterparts. 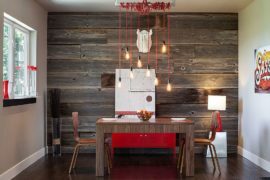 Whether you are a stickler for tradition, or you enjoy experimenting with your home decoration, you will definitely love this woodsy delight! 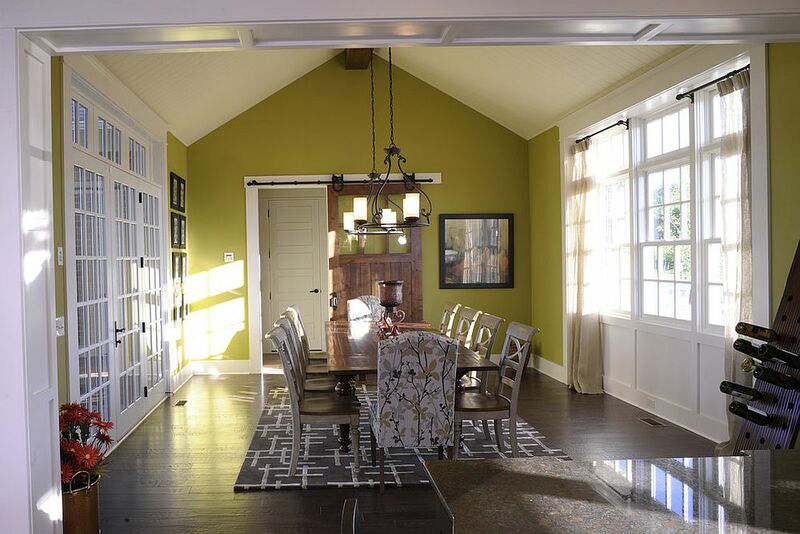 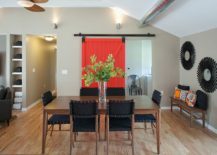 We kickstart today’s set of dining rooms with those that use the sliding barn door to add color and offer creative, space-savvy solutions. 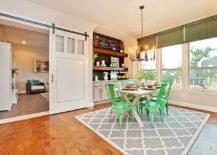 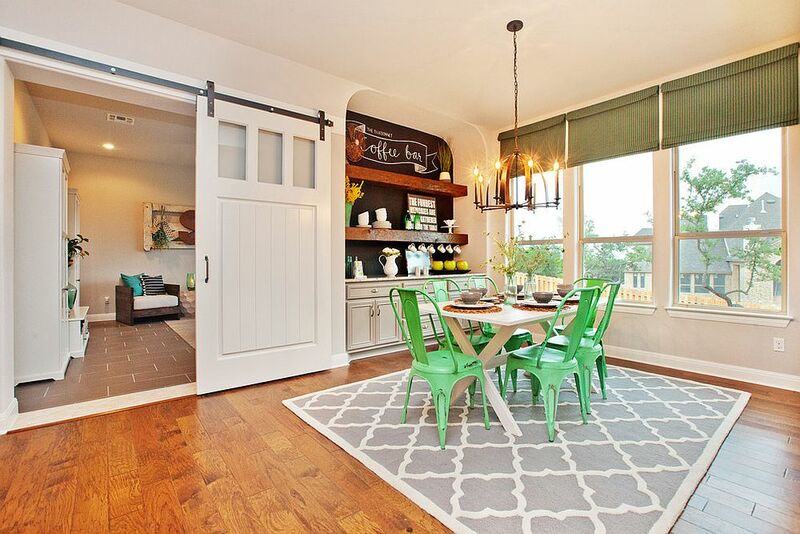 The large barn door painted red, green, yellow or any other bright hue of your choice can become the new showstopper of your dining space and can add color in a striking yet curated fashion. 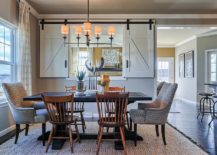 This design approach works well both in modern and farmhouse dining rooms, and you can repeat the hue elsewhere to give the room a bright color scheme. 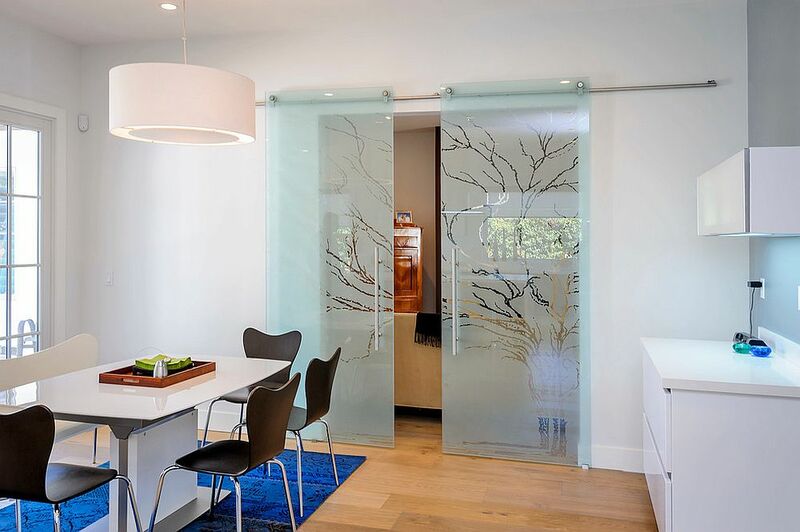 If color is not your thing, then try out modern sliding glass doors in glass that bring together the best of both worlds. 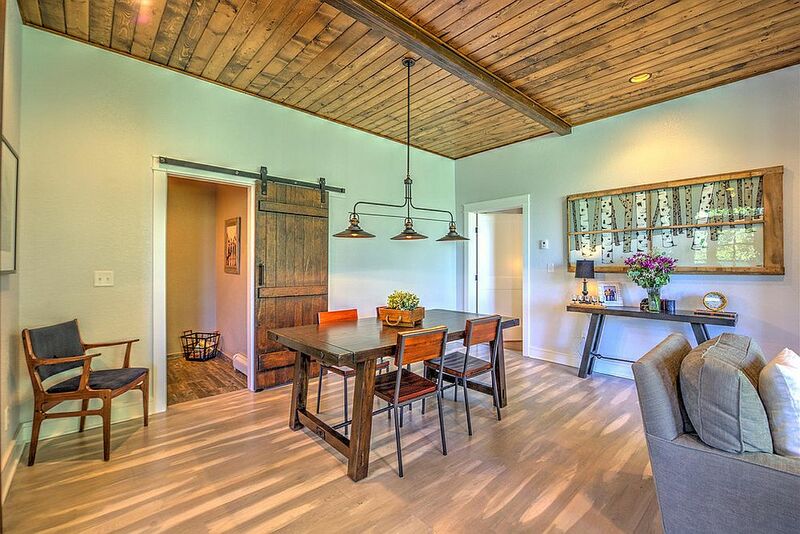 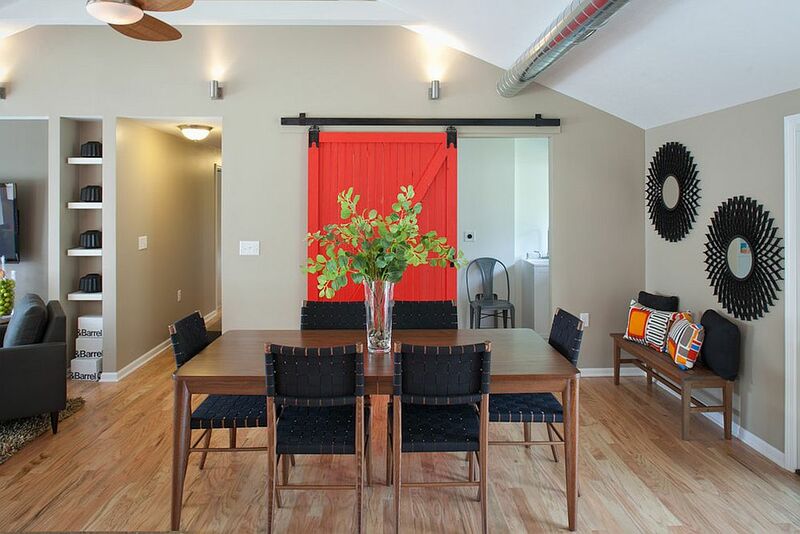 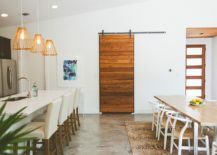 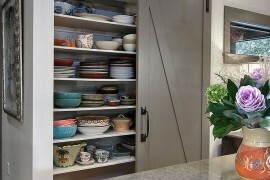 From hiding the pantry in the dining room to connecting the kitchen with the dining area, sliding barn doors can do it all with ease. 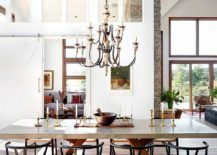 Modern farmhouse and rustic dining rooms try to constantly maintain a balance between the old and the new, the polished and the rough, and the exquisite with the understated. 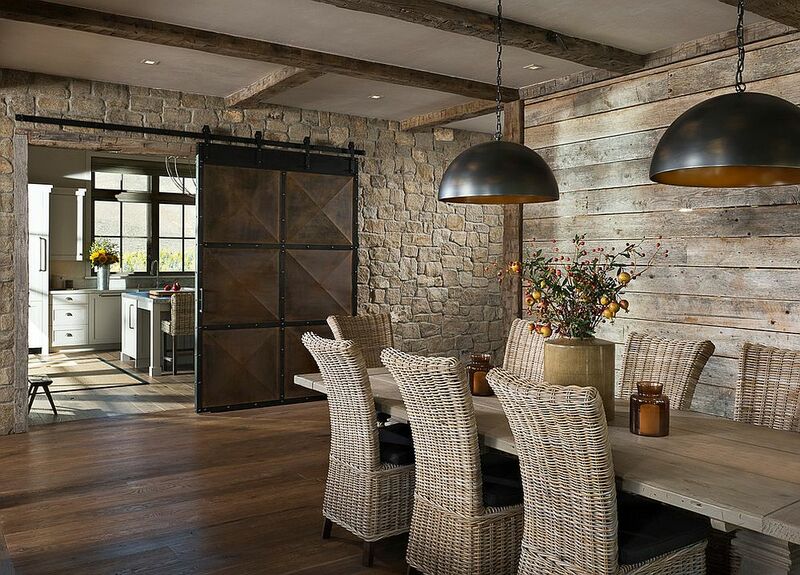 It is a world where contrasting textures and finishes find space next to one another, and it is here that the large barn door offers the perfect blend of both styles. 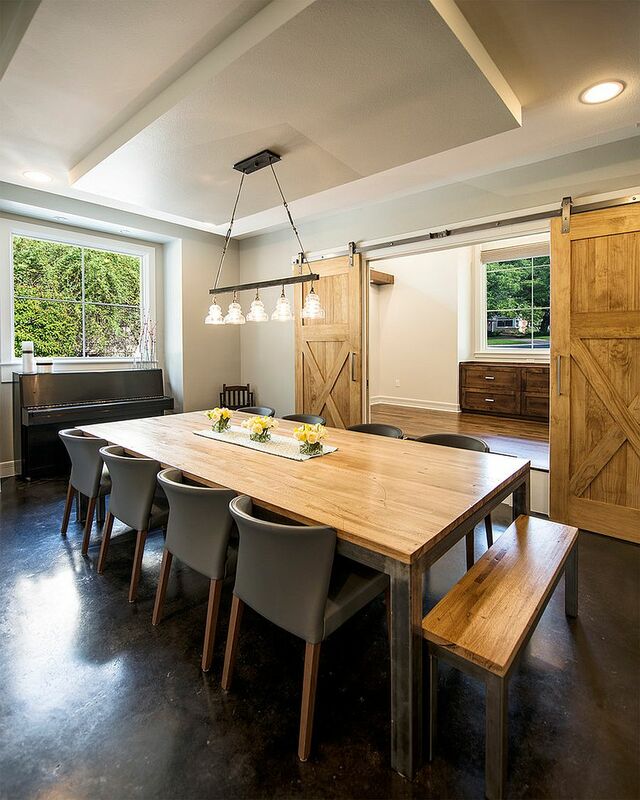 A large reclaimed barn door painted gray seems to represent both the refinement of modern style and the charm of a farmhouse setting ever so eloquently. 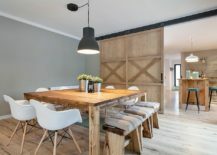 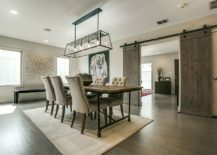 From rustic and farmhouse dining rooms, we move on to contemporary spaces where the barn door can serve both as a unique, decorative piece and a space-saving, functional addition. 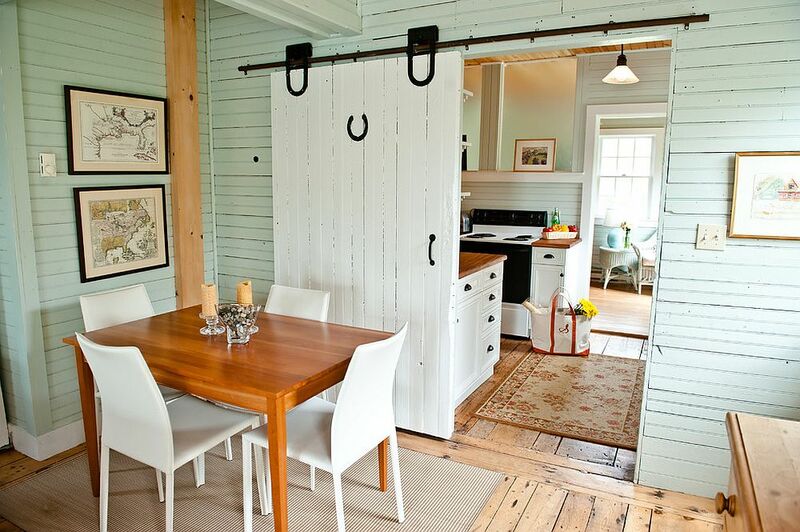 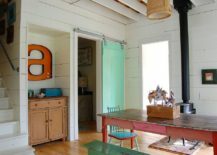 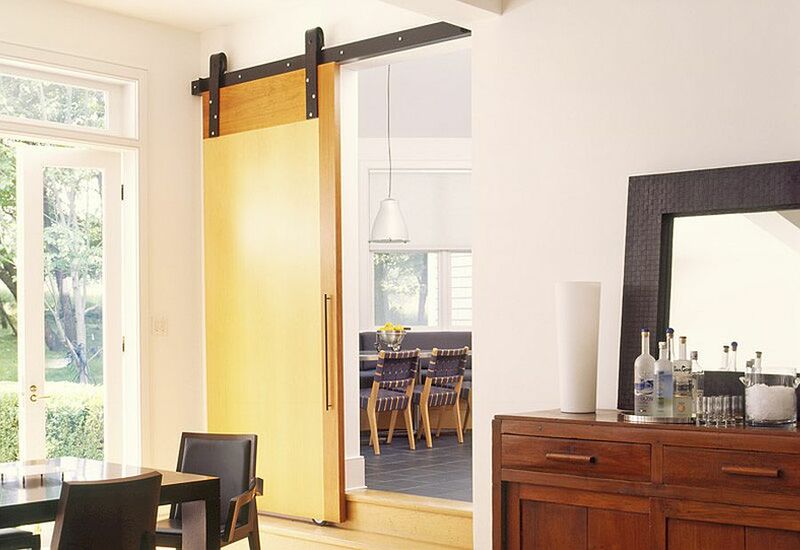 While normal doors that swing open take up clearance space, the sliding barn door saves these precious few square feet in the small dining room. 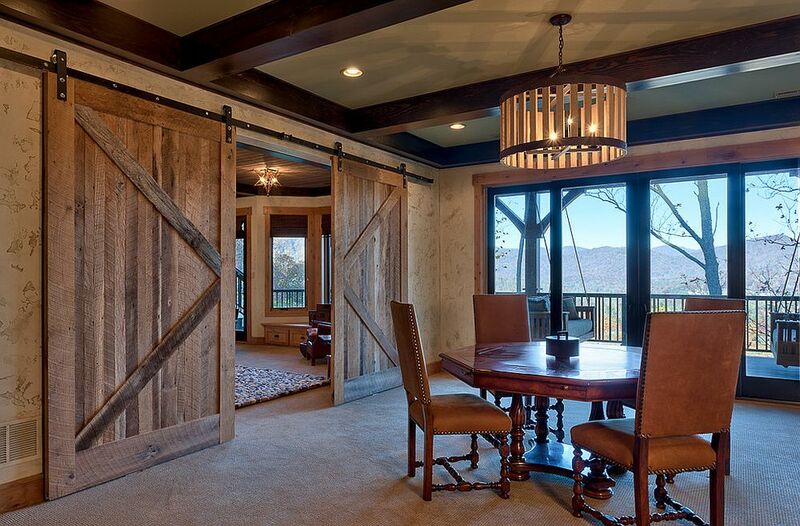 If you do not really need a grand, new sliding barn door as a functional addition, just add it to the backdrop as an embellishment that offers contrast. 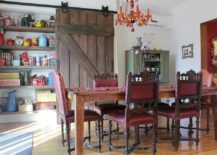 A more metallic barn-style door is perfect for the industrial dining room, while one crafted from reclaimed wood is great in shabby chic and bohemian-style dining spaces. 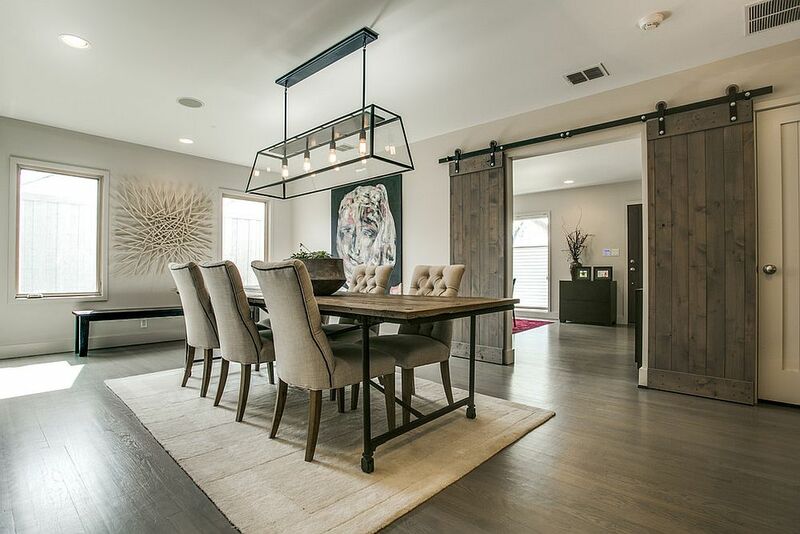 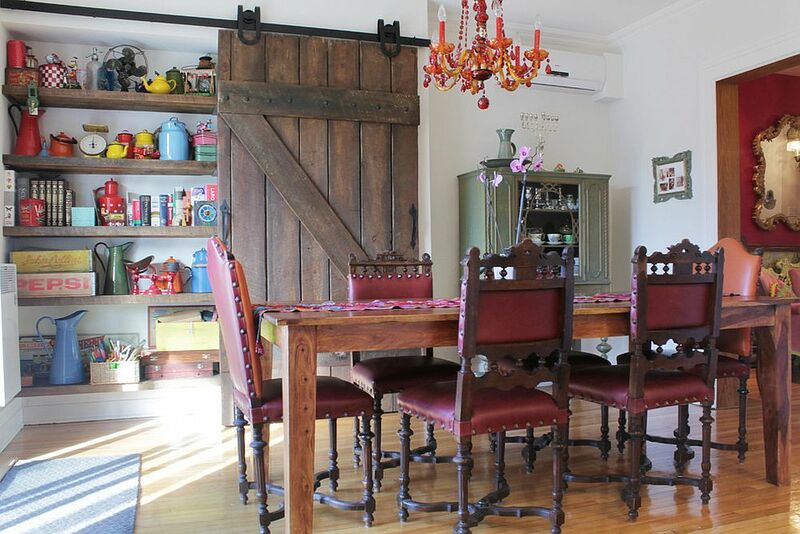 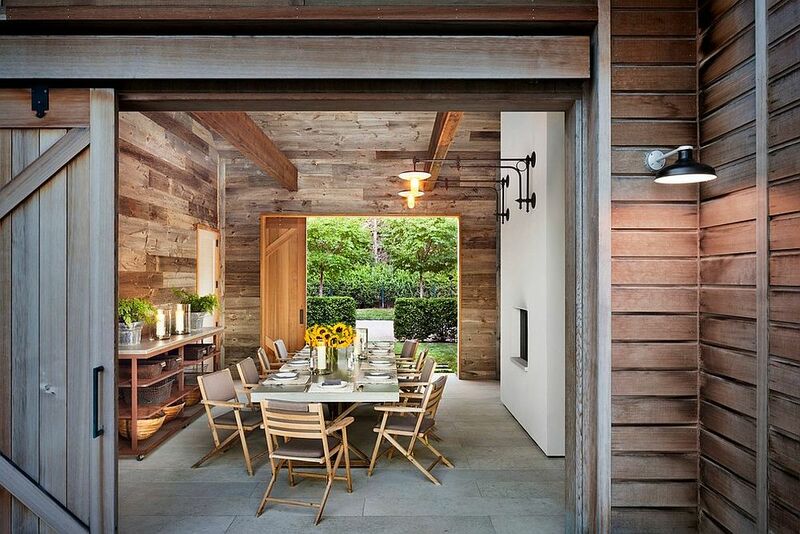 Adding a natural and relaxing element to the dining room, the barn door can either accentuate the existing theme of the area or give it a cool ‘exclamation point’ that you would absolutely adore. 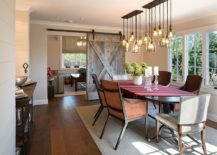 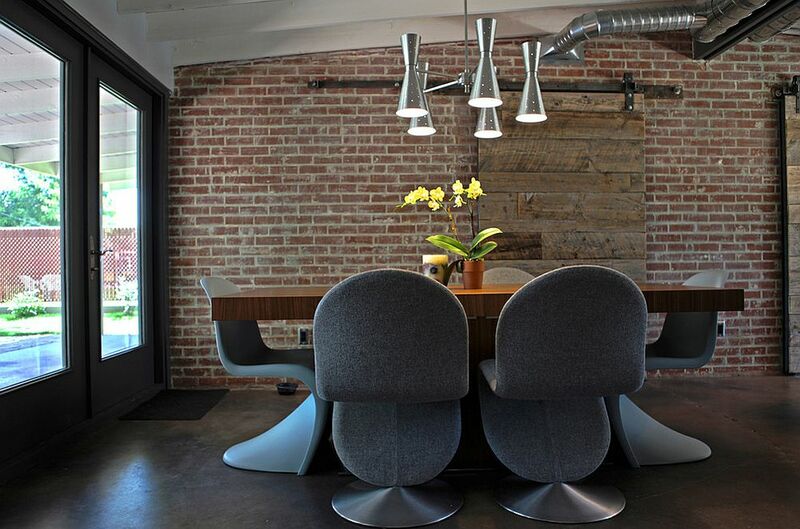 Couple it with the right lighting and décor, and you have an inviting dining room that feels both casual and tasteful.